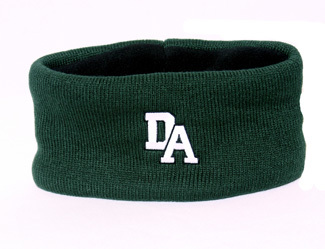 Green knit ear band with black fleece lining. 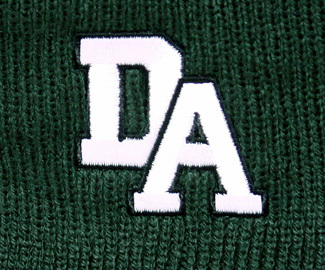 White DA embroidered on front. Exterior is 100% acrylic, fleece interior lining is 100% polyester. One size fits most.